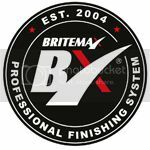 I've recently purchased some Britemax Extreme Elements which I was going to use as a sealant on my new car (glacier silver M135i) which is arriving in a couple of weeks time. Question, I wanted to go over the sealant with a couple of coats of Carpro Reload afterwards to finish off. Can you see any issues with this? Last edited by MAW73; 16-05-2014 at 04:41 PM. Not tried this combination myself but I don't envisage any problems with using Reload on top of Extreme Elements. Just to update my initial post..... used Britemax EE and Reload over my new car at the weekend and I'm really pleased with the results. Going to use this combo next on the wifes car. Last edited by MAW73; 16-06-2014 at 01:23 PM. On cleansed paint try and go over the car with a couple of coats of a glaze like prima amigo or ez-creme before applying the Britemax EE. I went with 2 coats of ez creme (first coat by DA, second by hand) then applied the Britemax EE by hand and it came up looking very deep, glossy, wet and reflective. It looks like a carnuba wax finish. I've never tried a second coat but can only imagine it would enhance the look. The only downside in looks I'd say is the clarity, but overall Britemax EE is a nice product and easy to use, almost as easy to spread as the chemical guys glazes ez creme & glossworks. It cures really quick too. As far as sealants go I prefer it to a sealant like FK1000, and the finish is a lot warmer. FK1000 leaves a plastic look on the 3 cars I've used it and you don't get that with Britemax EE. How did you find the Britemax EE? Using a polymer based glaze underneath EE works great, although I would recommend Britemax Black Max instead of amigo. Cheaper also. EE does have a nice warmth to the finish, more like a wax than a sealant. Two coats is preferred, the longer you can leave the coat before buffing the better. I've heard great things about Black Max, and it's similarities with Amigo. It's a product I'd like to add to my collection.